that fit this theme that were updated and to my liking. MCPATCHER IS REQUIRED! YOU HAVE BEEN WARNED! 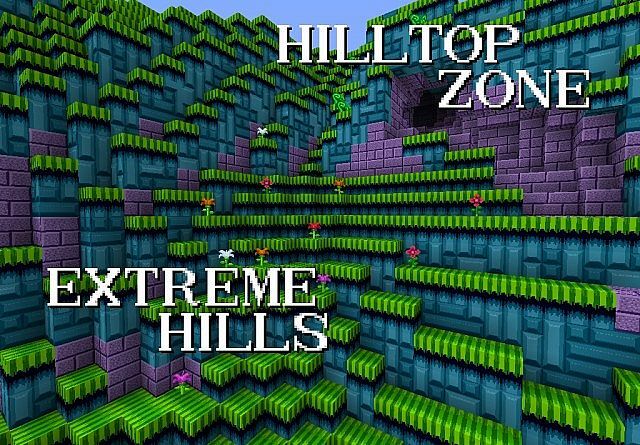 How did you get a different grass texture for every biome? Btw. the download link is broken. 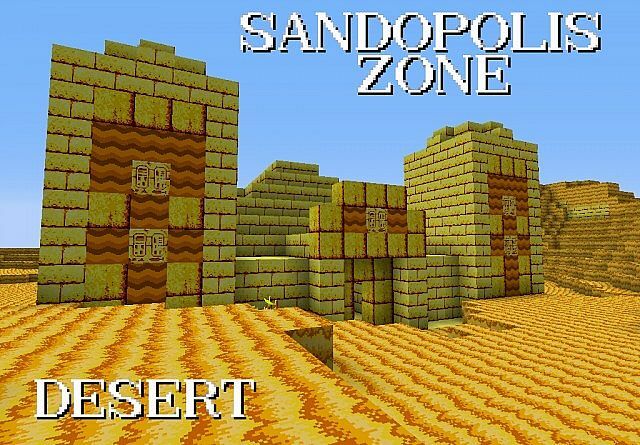 I used MCPatcher/Optifine's CTM to apply different textures for each biome, using the "biomes=..." tag in the .properties files. I thought it works only for entities. 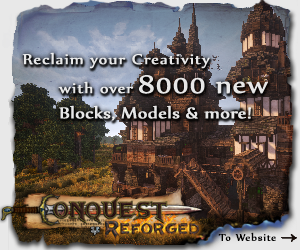 This looks really cool, is there ever going to be an update for 1.8? 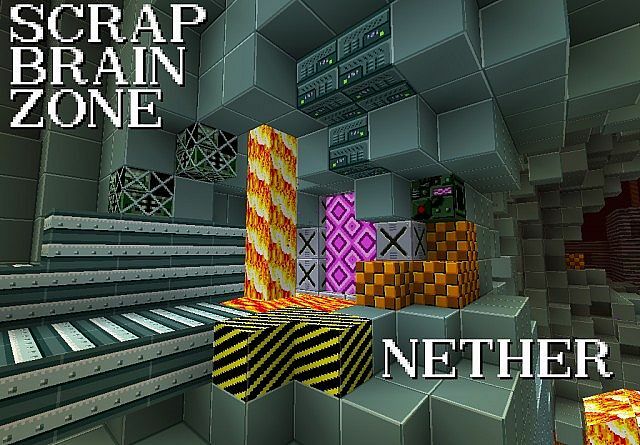 I prioritised the earlier games over the sequels, and there is more variety in the design to pick blocks from in Scrap Brain than Lava Reef. Also a bit of a suggestion: You can make the new ocean monuments Tidal Tempest zone. 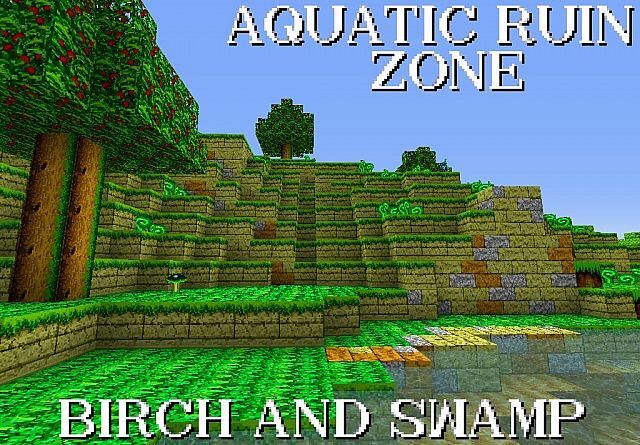 I'd honestly prefer lava reef- i can make the textures, if ya want... but, 1 problem- it wont be MCpatcher compatible. i dont know how to work textures with the MCPatcher style- like connected textures..
Also, tidal tempest is a good idea. Are you gonna change some of the audio to sounds from the games themselves. I noticed each of the music disks had Sonic levels on them, and I was expecting to hear them play when I put them in. Just curious. I did have that exact thing working, but then it suddenly stopped working for an unknown reason. I guess at some point I should get the patcher, even without it it still looks great, and nice choices for the zones themselves. 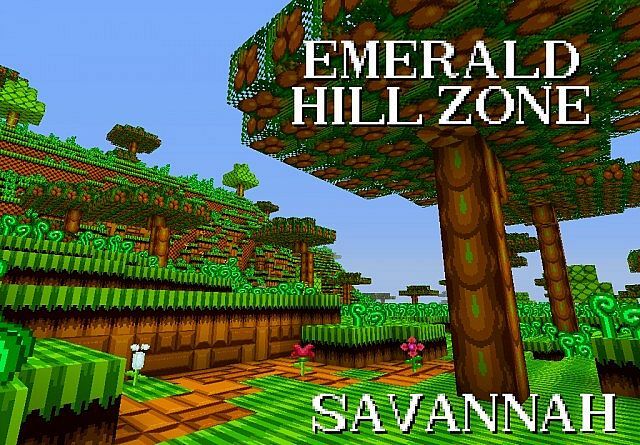 Great, now I have the green hill zone theme stuck in my head. Thanks a lot. I showed my brother this and he had no idea what the theme was until the last image! This wasn't because this is rubbish ( it is not, it is brilliant!) it's because he has never played a proper sonic game (he's only ever played sonic dash!). Sadly, I can't get this 1. Because I don't have MCpatcher, 2. Because I have the worst computer ever and it can't handle even 32x32 texture packs! Can I use Optifine instead of MCPatcher? Yes, but only some things will work. We both made a Sonic the Hedgehog (classic) resource pack..
We are both level 54..
We are both Grandmaster Turtle.. 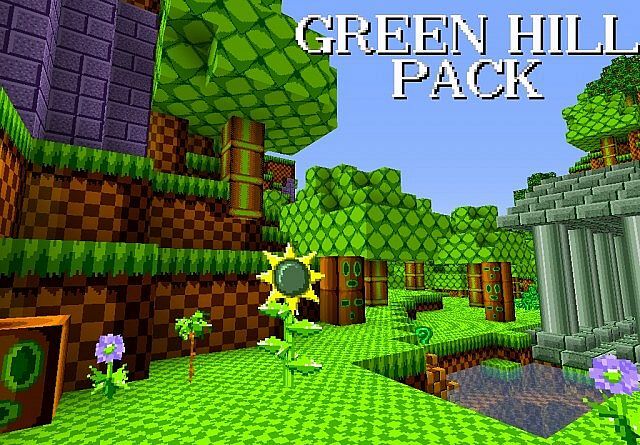 The classic Sonic games aren't the only good ones. The only bad ones are Sonic 06 and the 3ds ports of console games in my opinion. Good pack BTW! Well, every Sonic game that I've played (other than Riders: Zero Gravity and the classic ones) I've hated. 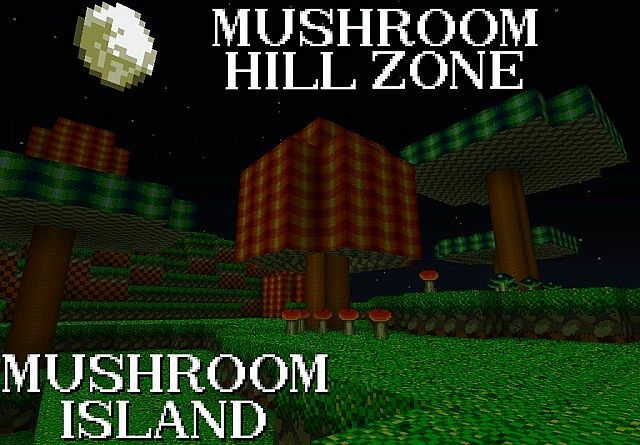 I love how each biome is related to a Zone from the first two Sonics. 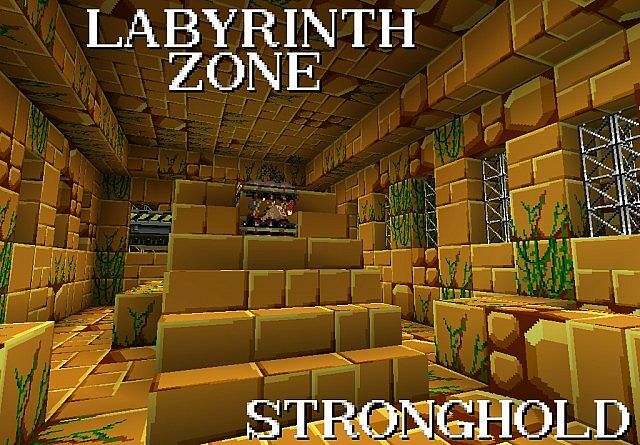 Labyrinth Zone was hectic. Very well done! Not all are from the first two. There are some from Sonic 3 and Knuckles. I may use this for a map, is that okay? Msg me if it's okay. I sort of feel like the blocks are a bit confusing. But then again, you are pulling from Sonic and this is what they offer. I'm basically doing the same thing myself with a Pokemon FireRed/LeafGreen texture pack. All others in existance just don't meet my standard. I Love the v colors and texturing you did to make this excellent. Most of the textures (and colours) were ripped straight from the games, so I can't really take credit for most of it. 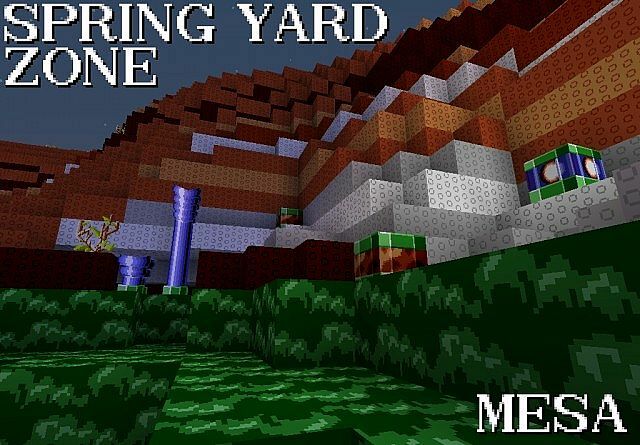 Ah, Well you did a good job implementing it into minecraft. This looks very nice, looks like you put a lot of work into it. 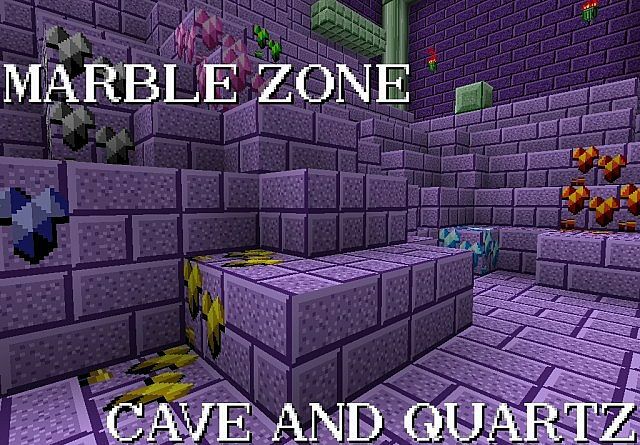 I do prefer Mario and Zelda texture packs though. I have an NES Mario pack, but it looks horrible. Holy crap, man. That's amazing. Nicely done. 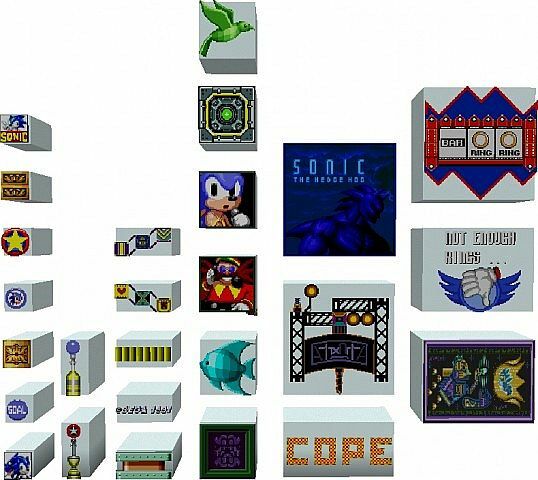 I have a question though: in the "Labyrinth Zone" image up there, some blocks look like solid blocks, some like bricks, some like rocks, and some like smaller rocks - are those all the same material with multiple/random textures for the same block-type, or are all those different material blocks? MCPatcher repeat CTM. All of the bricks are plain stone brick, all of the rocks are cracked stone brick, and all of the mossy bricks are, well, mossy bricks. I did have the records playing music, but for some reason they stopped working. I didn't think you'd post it on pmc. good job on it. You get an emerald... er..... a diamond. It's as real as Sanicball, my friend. Woot. I love Sonic, but lost interest after my inability to get Sonic Generations for my birthday one year. Great pack! AND FIRST!